We are currently revamping our website to better suit our friends for this new Spring 2013 semester. Stay tuned for our upcoming events, as they will be announced shortly! 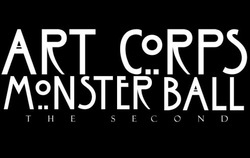 ART Corps's biggest event, Monster Ball, is quickly creeping upon us. Join us Friday, October 19th from 6 - 10pm at the OTC Main Campus Atrium. Our costume contest includes $150 in cash prizes! $5 in advance or $8 at the door, with a special group rate of $7/person for posses of 5 or more. Stop by the Gillioz 3rd Floor front desk or our table in the OTC Atrium to purchase yours today! E-mail otcartcorps@gmail.com for more info. No upcoming events listed as of yet. Are you interested in photography, but regret not having your camera with you at all times? Do you have a smartphone that takes pictures? Check out this upcoming opportunity presented by the OTC Fine Arts Department. Local photographer Elise Ellis is hosting an "iPhoneography" workshop about how to take great pictures with your mobile device. The workshop is Saturday, October 20th from 9am - 12pm. The cost is only $5, with proceeds benefiting the Gillioz Theatre. For more info, check out otc.edu/finearts or e-mail alliek@otc.edu. Interested in playwriting or acting? Then be sure to submit either your 10-minute play or acting headshot to the Mid-America Theatre Conference, which is to be held March 7 - 10th, 2013 in St. Louis, Missouri. For more information, visit matc.us or e-mail herbertj@otc.edu. Join ART Corps in supporting "Walk Until Hope is Found", a walk-a-thon to raise awareness about healing from grief and depression on college campuses as well as in our communities. The walk itself begins at 4pm and concludes with the 40 minute premiere of documentary filmmaker Patrick Mureithi's "Kenya: Until Hope is Found". Proceeds for the event benefit the National Alliance on Mental Illness and Kenya: Until Hope is Found. Attention all musicians, actors, poets and performers! 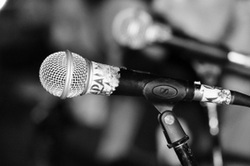 Join ART Corps this upcoming Friday (9/28) evening for the semester's first Open Mic Night. Amplifiers and microphones will be provided. Located on the Gillioz 3rd floor, Room 330 from 7 - 10pm. Donations are being accepted for Ozarks Food Harvest in lieu of the National Student Day event. Please bring non-perishable items (no glass containers) to share with families in need for this upcoming holiday season. Additionally on Friday, OTC's Student Government Association is hosting their Fall Student Picnic at OTC's Main Campus. The picnic will be held from 10am - 1pm. Be sure to join us at the OTC Fine Arts Department / ART Corps booth, alongside many other interesting opportunities that we be present at the picnic. Plus, there's free food... so, what's not to love? Hey OTC students, are you thinking about transferring to MSU? MSU will be on campus on Monday October 1, 2012 from 10:00am to 1:00pm in the Information Commons West to answer questions about transferring. Faculty, advisors, and staff from the degree programs and admissions, financial aid, and academic advising will be there to help you. Just come on by! If you can’t stop by check out MSU's OTC page at www.missouristate.edu/otc or email them with your questions via dixiewilliams@missouristate.edu. First Friday Art Walk: 11th Anniversary Art Contest & Exhibit: October 5 - 24, 2012 - Click here for entry form. Attention all artists! First Friday Art Walk is seeking entries from various mediums for the upcoming October 2012 walk. Artwork will be on display at our very own OTC Fine Arts Center at the Gillioz 3rd floor. All artwork displayed in the exhibit will be juried and eligible for cash prizes.Entry fee is $10.00 per item entered. Prizes range from $50 to $250. Item entry criteria on website & form. For more information, click here. ENTRIES DUE BY SEPTEMBER 28TH. G.A.M.E. Art Show: Friday, October 5th - Sunday, October 7th - Click for event details. Are you an artist that loves sci-fi, fantasy, video games and more? Springfield G.A.M.E. (Gaming, Arts and Media Expo) is looking for entries for the upcoming art show at their convention. There is NO ENTRY FEE. Artists are encouraged to submit any science-fiction, fantasy, comic books, web comics and video game culture inspired works. All mediums are welcome. ENTRIES DUE ON OCTOBER 5 FROM 10am - 7pm. Thomas Hart Benton Art Competition & Exhibit: Saturday, October 13, 2012 - Click here for entry form. Love to paint? The Thomas Hart Bention Art Competition & Exhibit is an upcoming four state regional art competition & sale sponsored by the Southwest Missouri Art Alliance. There are three categories: student, emerging artist and professional artist. Entry fee for students is $5.00 per item entered. Student award is $50.00. Acceptable mediums include: oils, acrylics, watercolor, mixed media, pastels and graphics. No photographs, prints, print making or computer generated entries, please.For more information, click here. ENRTRIES DUE ON OCTOBER 13 @ 9:30am. We know you love art, but are you a fan of video and tabletop games, comic books, and all that good stuff as well? Then check out G.A.M.E., Springfield's annual Gaming, Arts & Media Expo. Three days of gaming events, alongside everything from an art show and movie screenings to costuming contests and fun vendor booths. Admission ranges from $25 - $30 for the weekend, and G.A.M.E. runs from October 5th - 7th, 2012. ART Corps President Kathryn Westphale will be volunteering for the event (and cosplaying) as well. It's always a fun time! Film Discussion Series: "American Pop"